His love-hate relationship with Pilates comes through in his grudging praise. 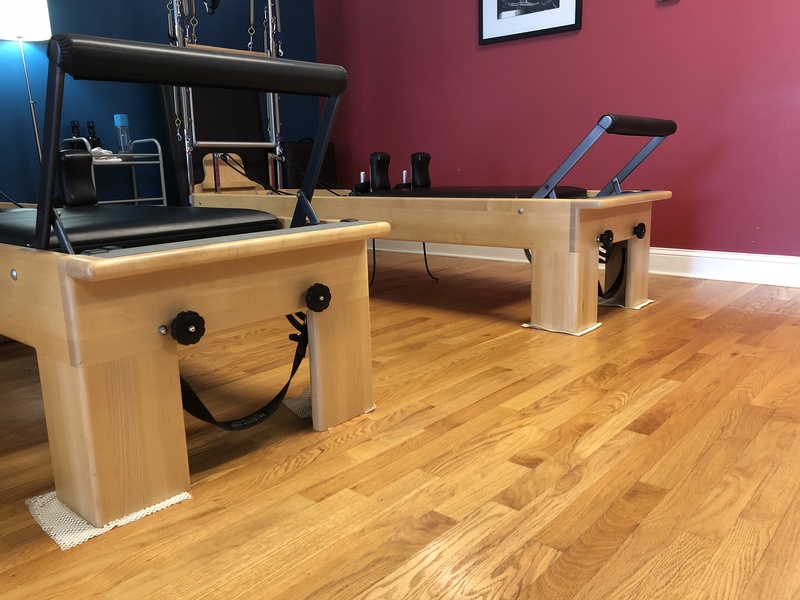 Asked for three words to describe Pilates Defined, he chose Happy Torture House.“There are some other adjectives I would add in there, but three is three,” he said. “Doing things properly is a pain in the …” he trailed off. “Having to be aligned and move from where you’re supposed to move from is physically and mentally frustrating. I imagine it’s what an infant feels like learning how to use a spoon.” Matt had a partial disk removal in 2010, and despite his youth and fitness level has struggled with chronic pain. “This is the only thing that has helped my back consistently,” he said. He credits his regular Pilates practice for leaving him in less pain, everywhere, and unlike most Pilates Defined clients, he also gauges his progress by how much better he can take a punch. “Body shots don’t mean anything to me anymore,” he said. What benefits have you seen from Pilates? What is your favorite exercise or piece of equipment? What would you say to someone thinking of starting Pilates?